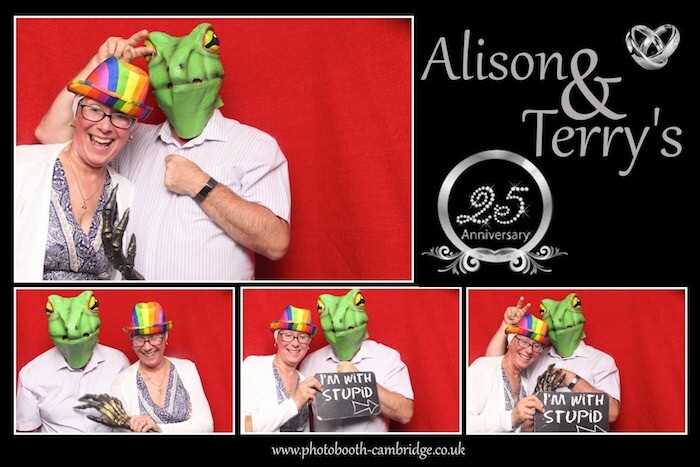 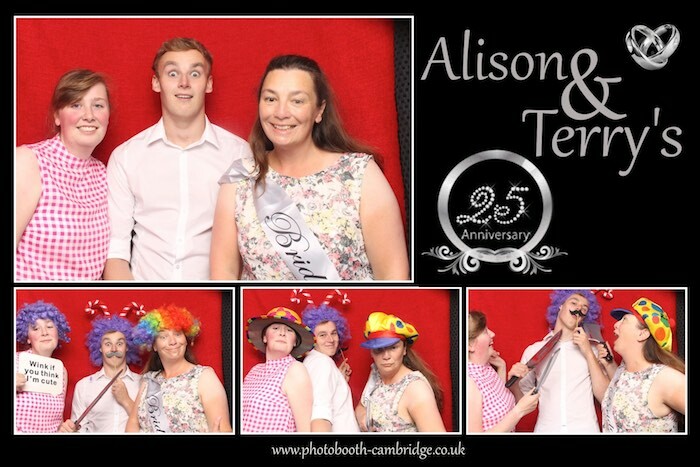 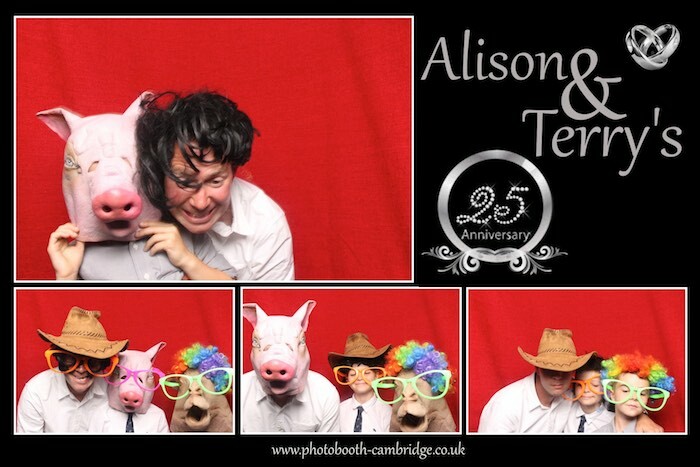 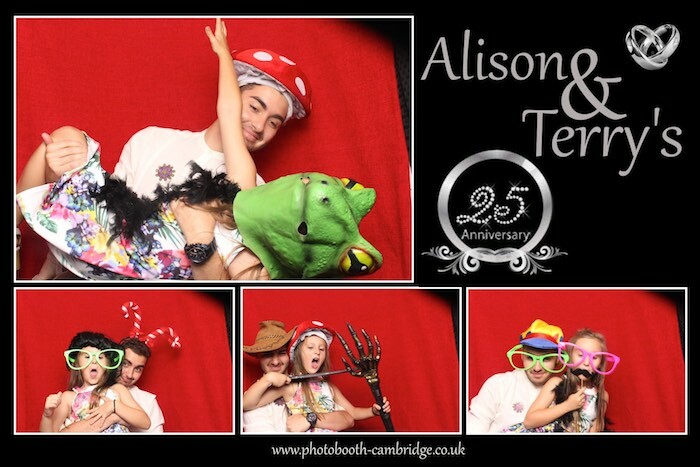 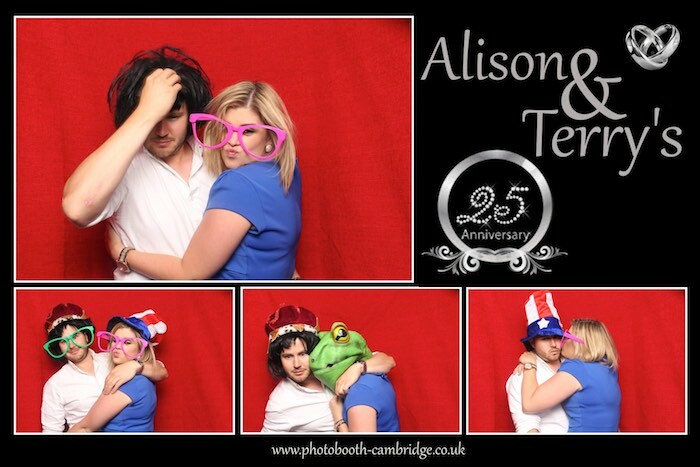 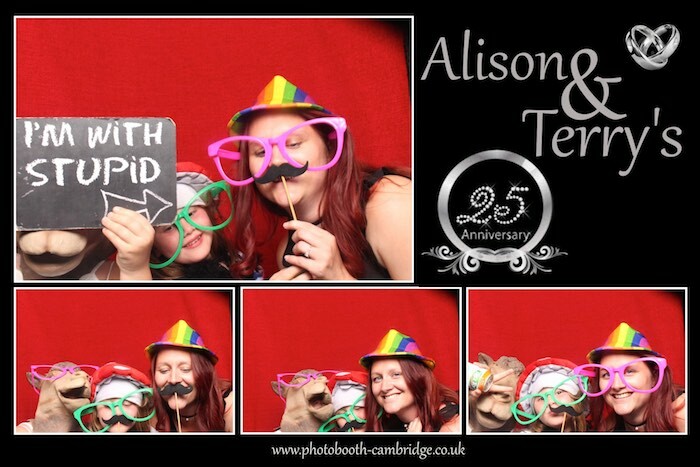 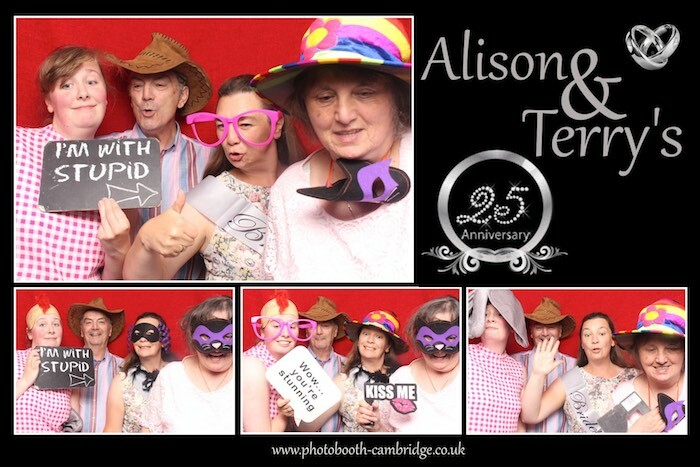 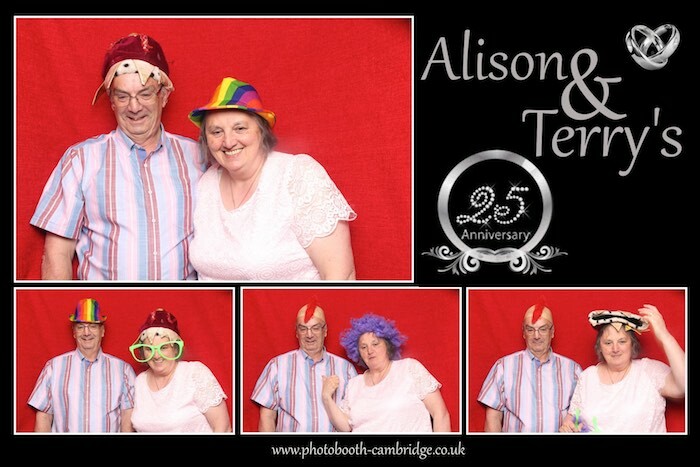 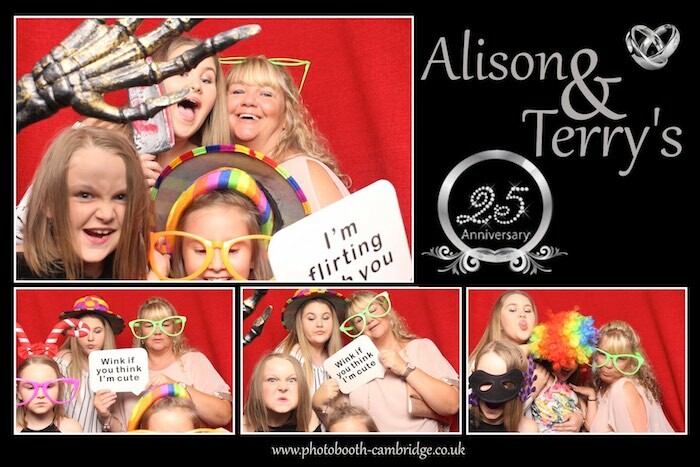 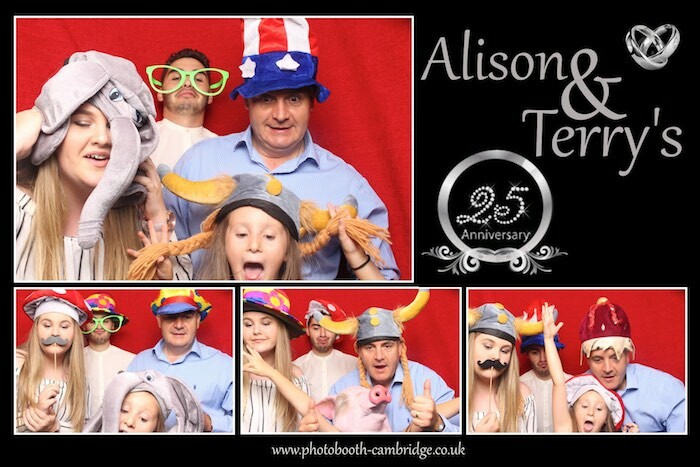 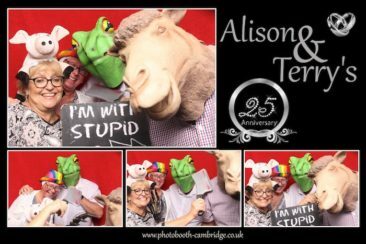 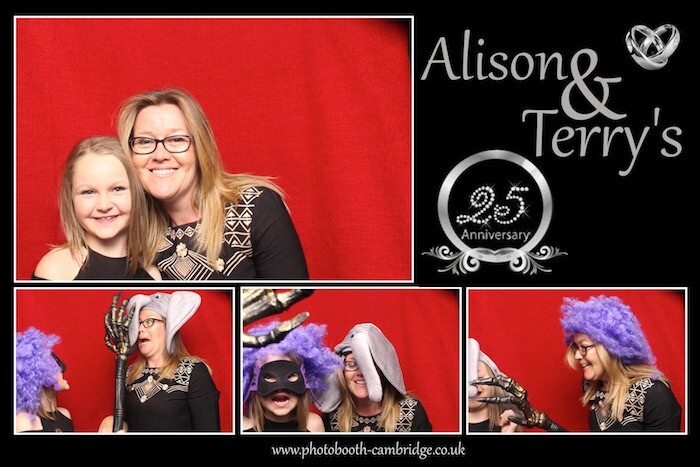 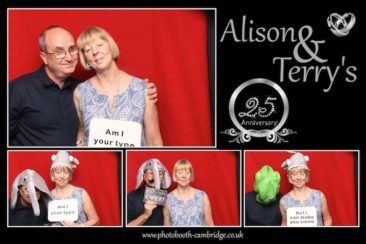 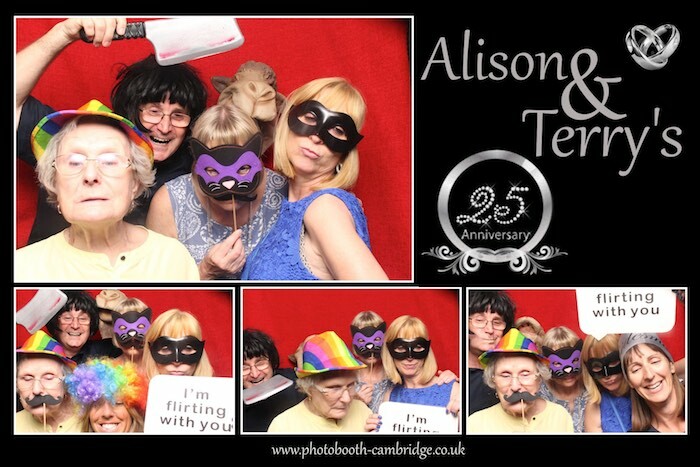 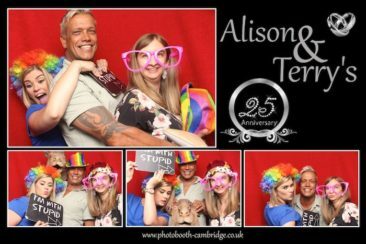 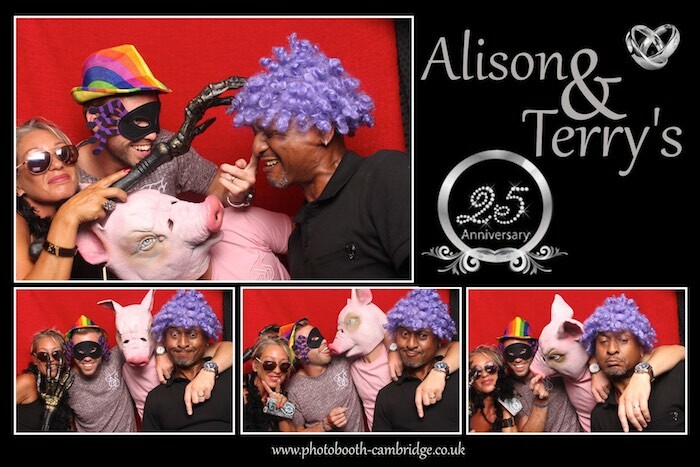 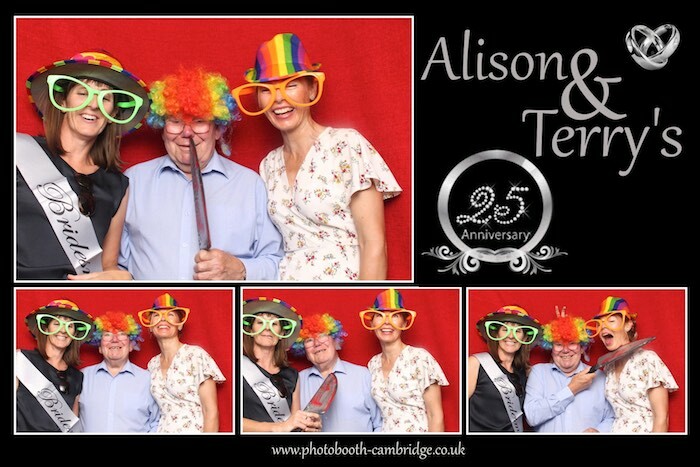 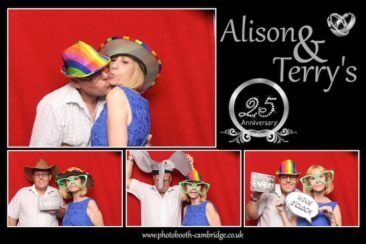 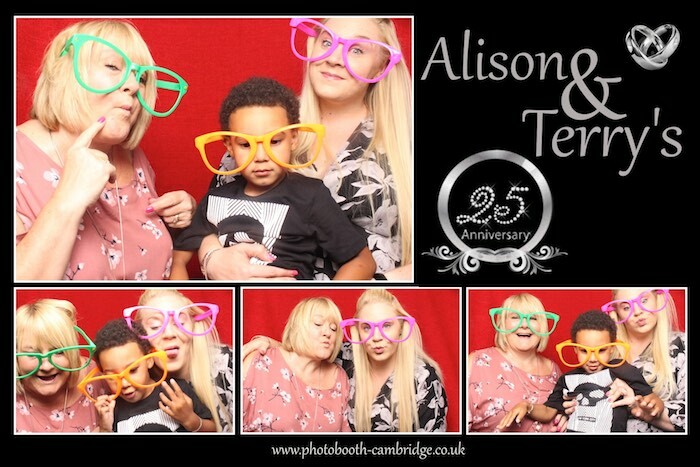 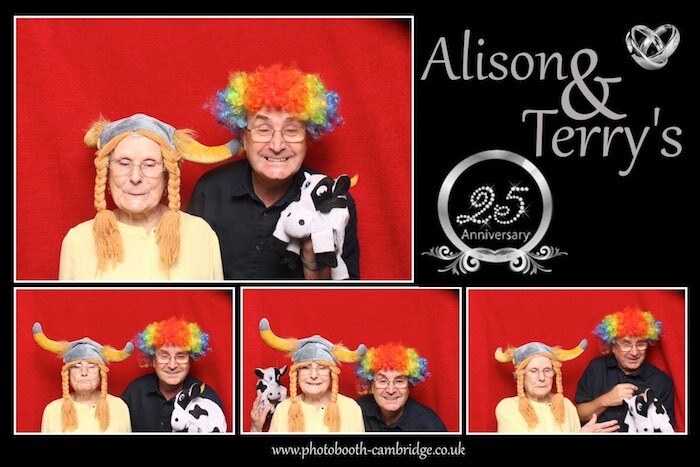 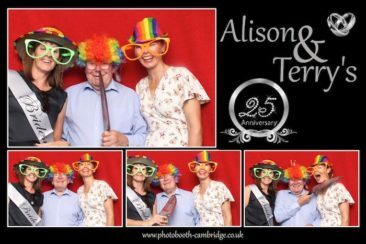 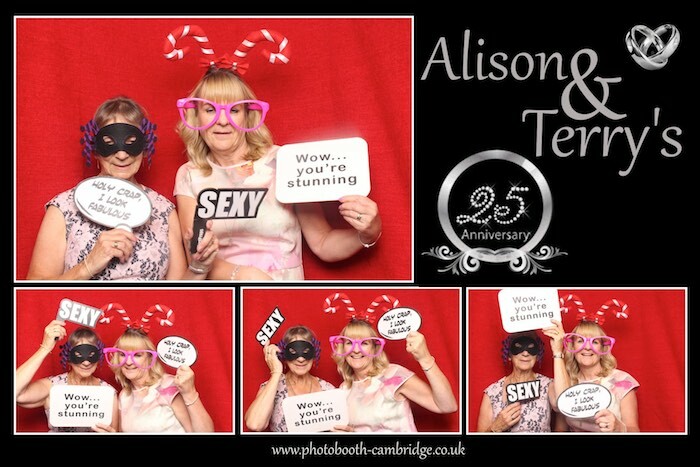 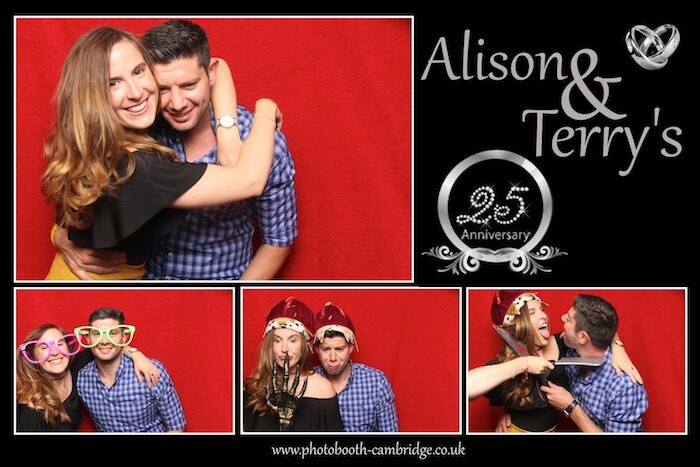 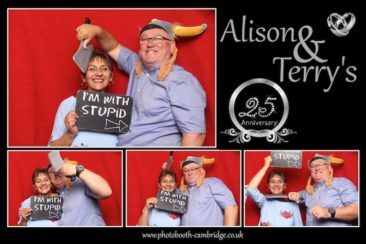 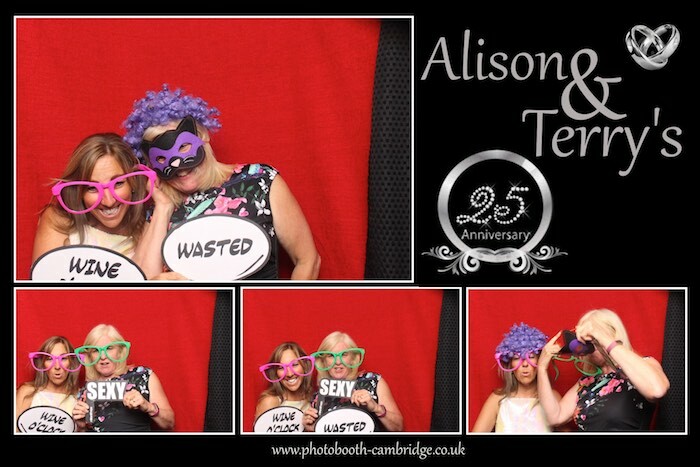 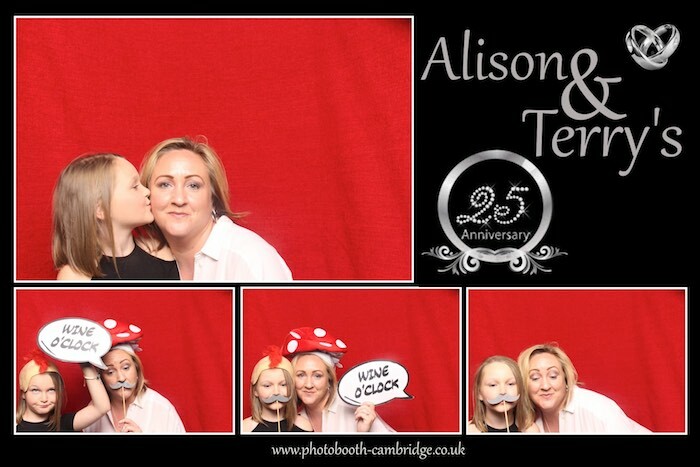 Celebrating with Alison and Terry at the Marriot Hotel, Huntingdon, for their 25th Wedding Anniversary. 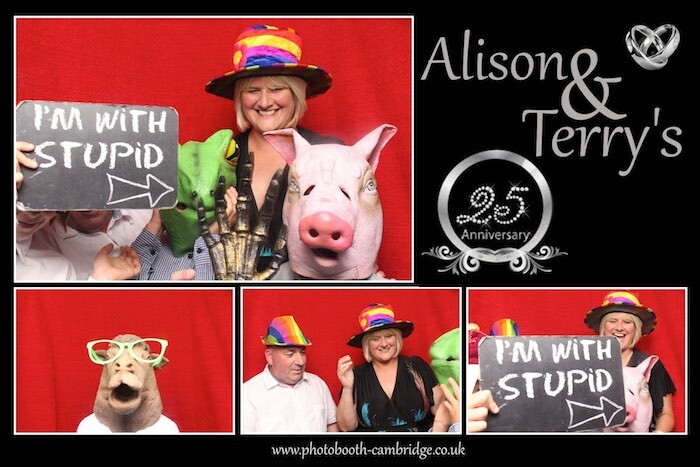 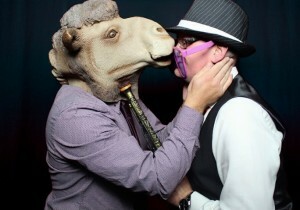 Congratulations you two, I hope you enjoyed the booth as much as your guests did! 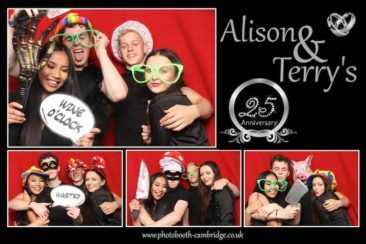 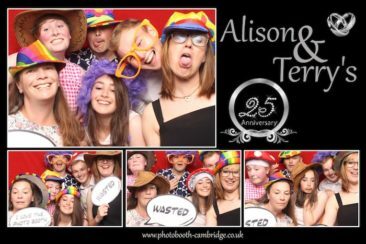 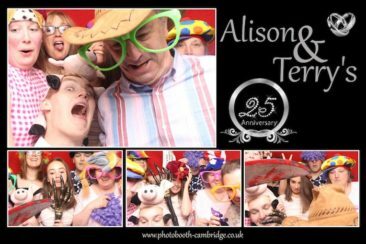 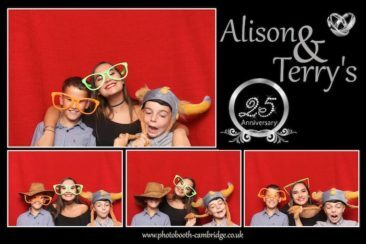 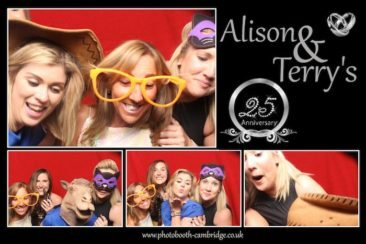 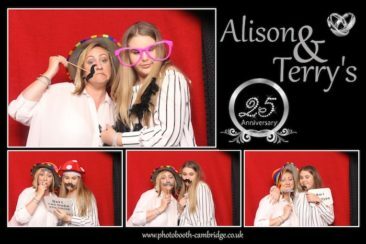 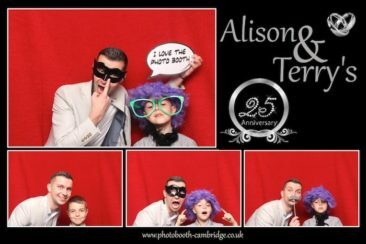 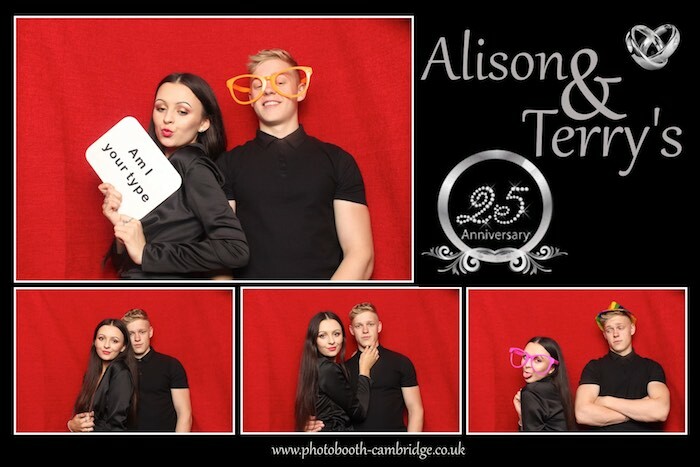 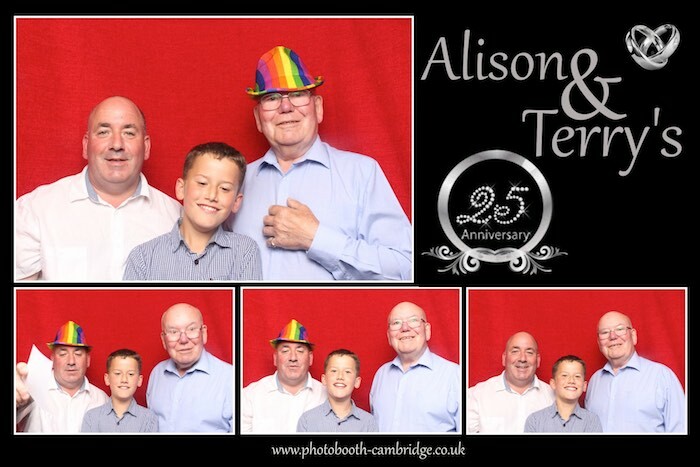 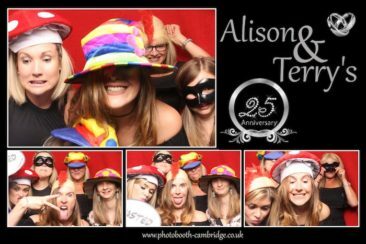 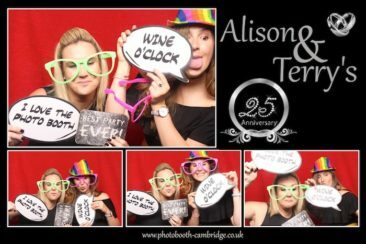 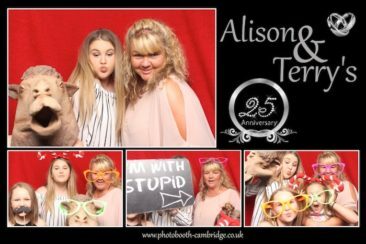 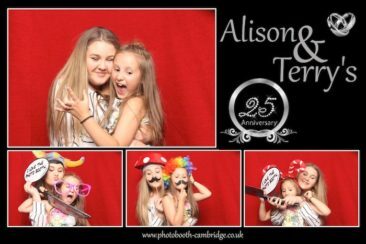 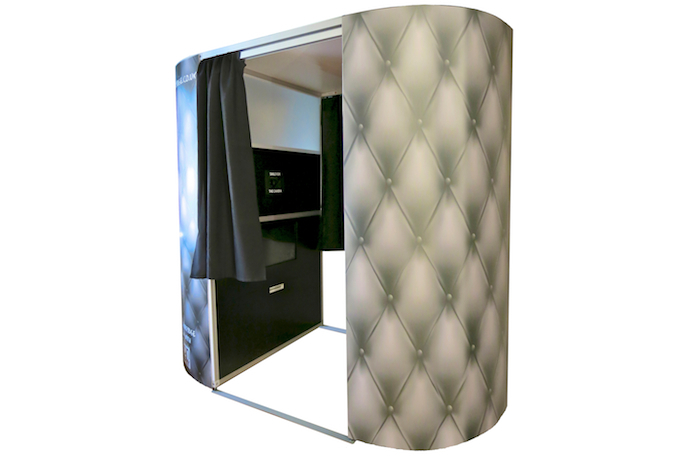 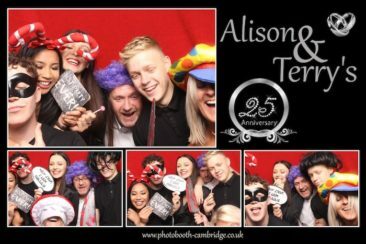 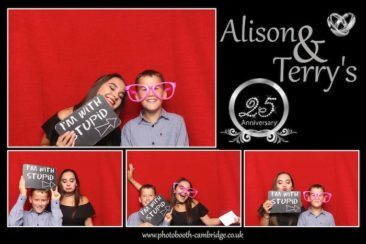 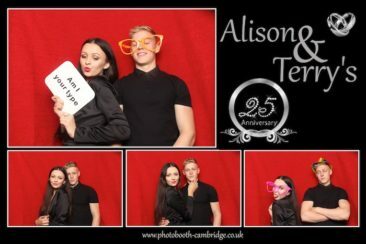 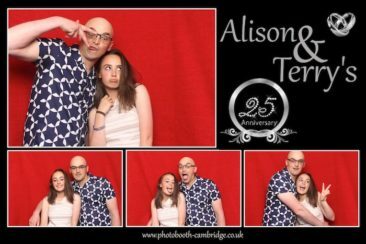 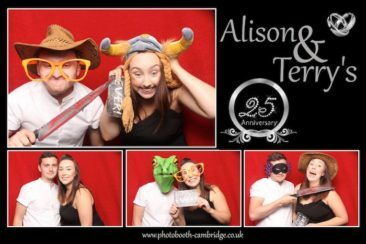 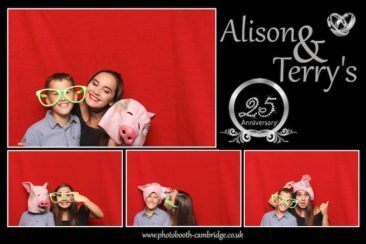 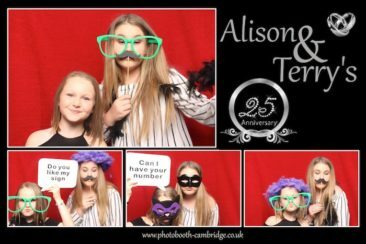 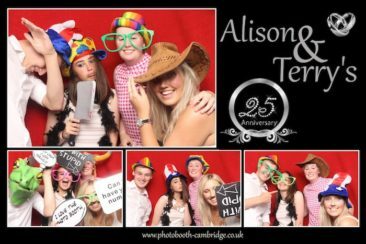 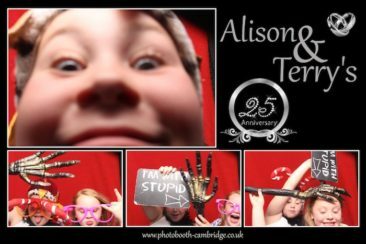 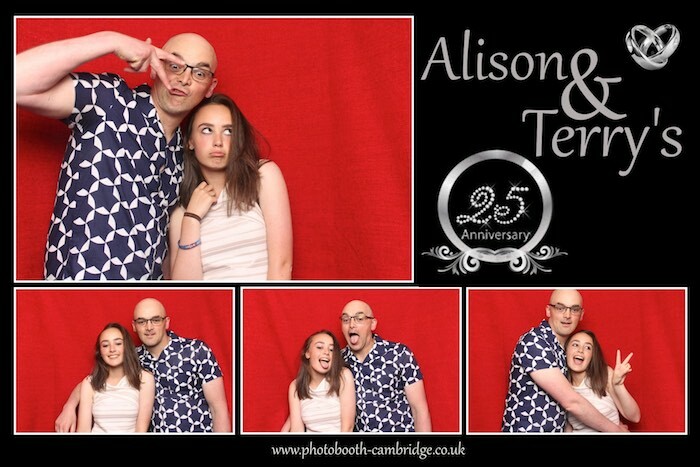 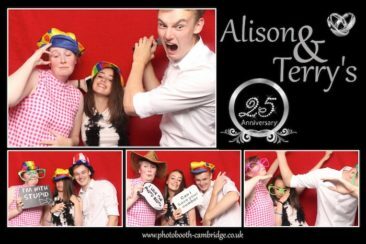 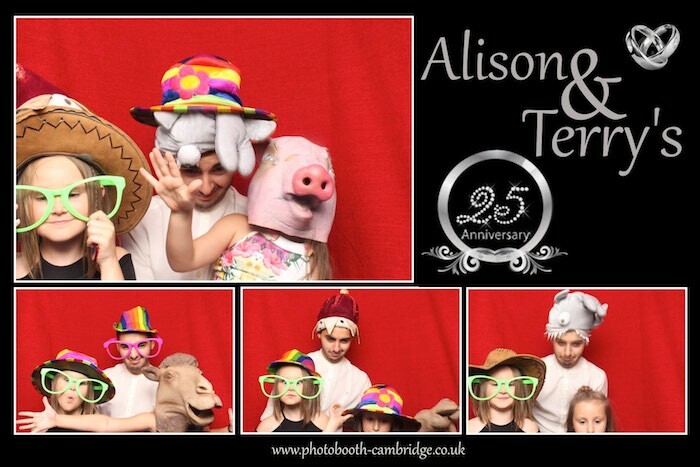 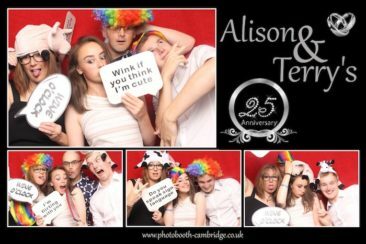 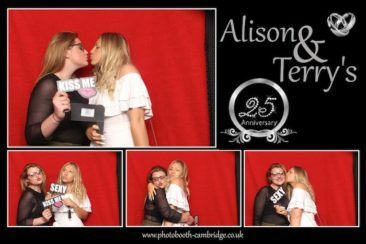 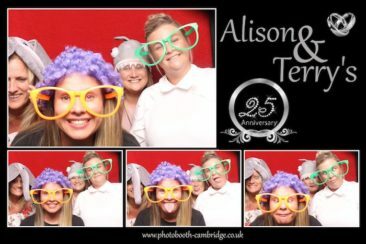 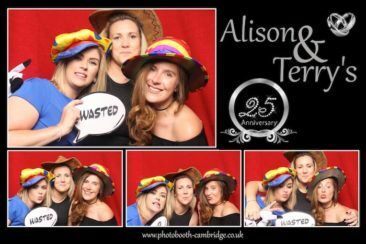 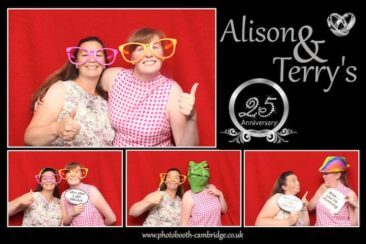 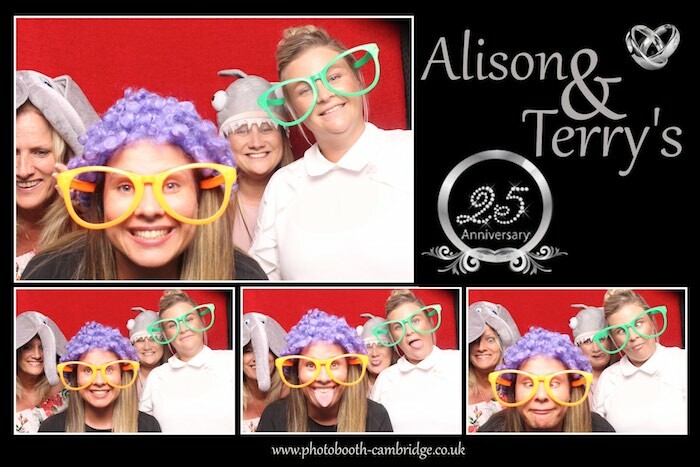 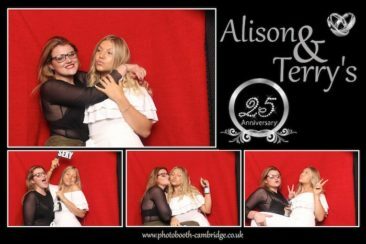 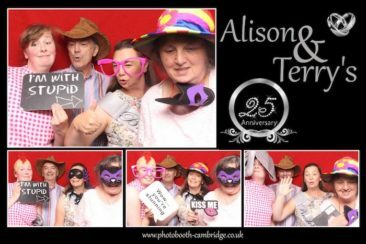 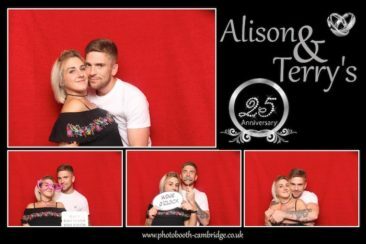 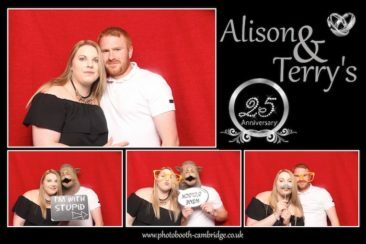 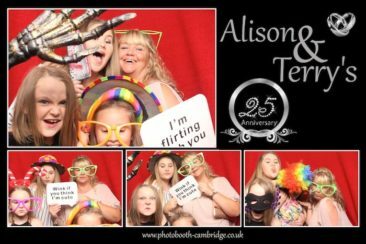 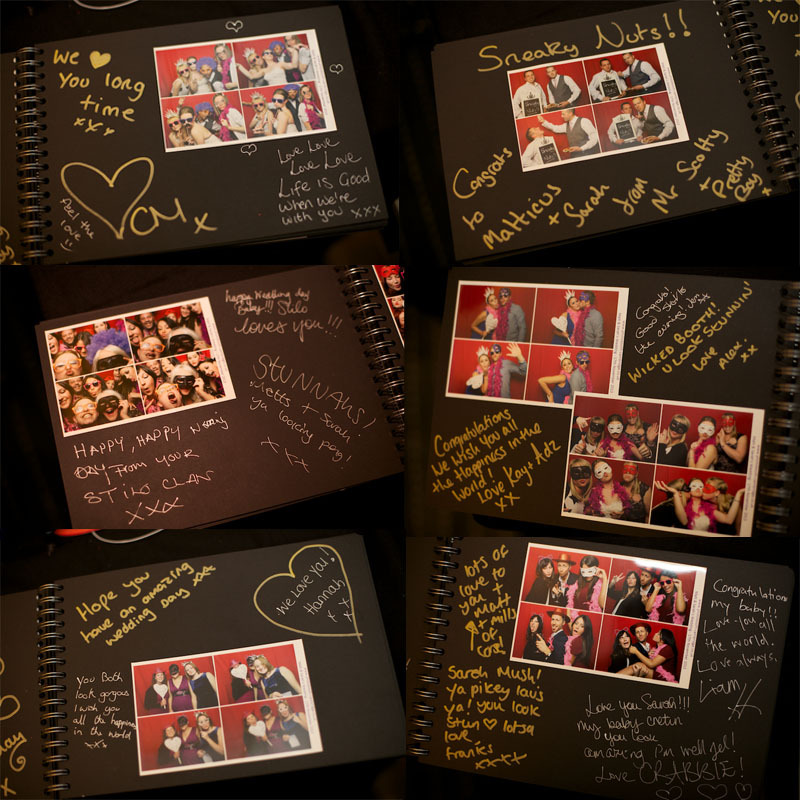 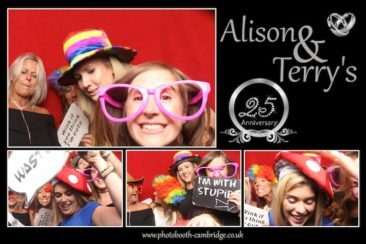 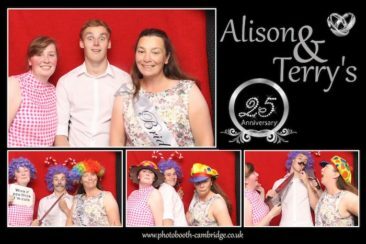 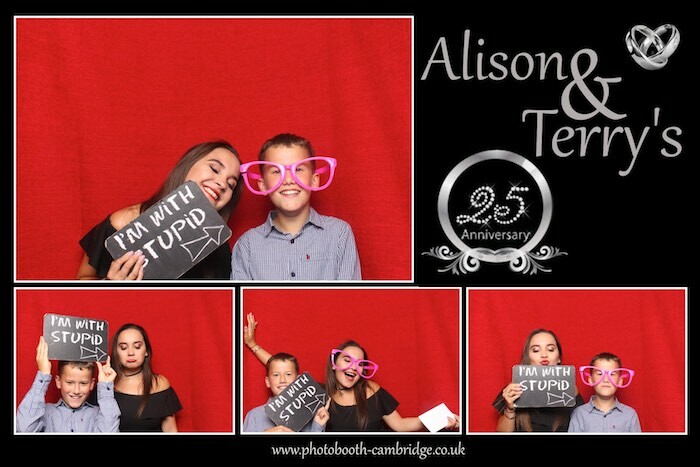 Having a bespoke print within your photo booth package is standard with us, and we feel is very important to making your photo booth experience with us stand out from the rest. 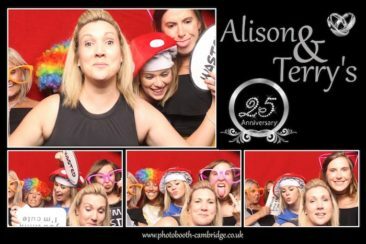 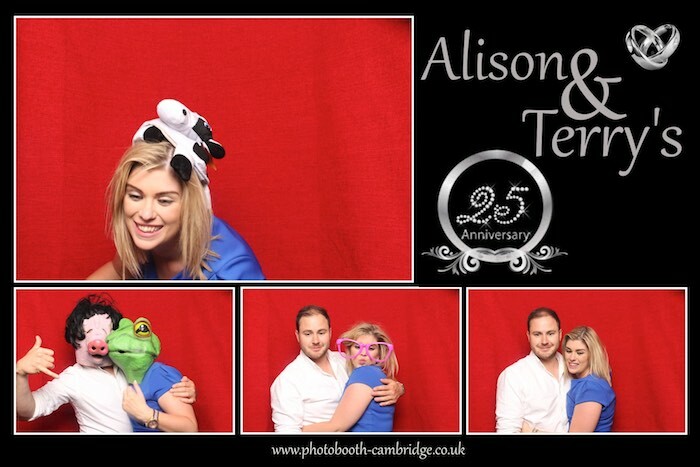 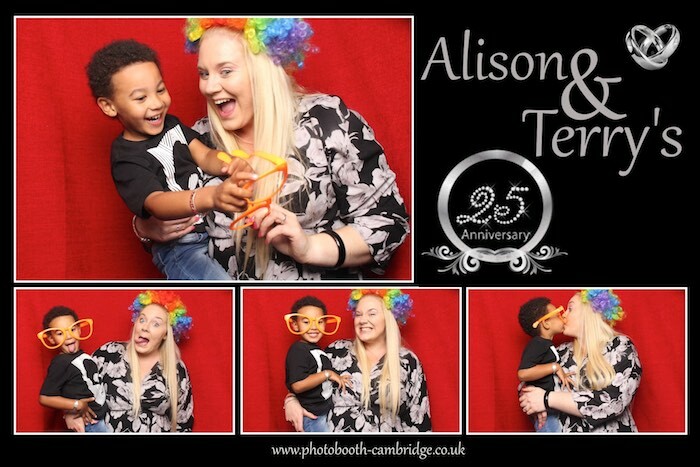 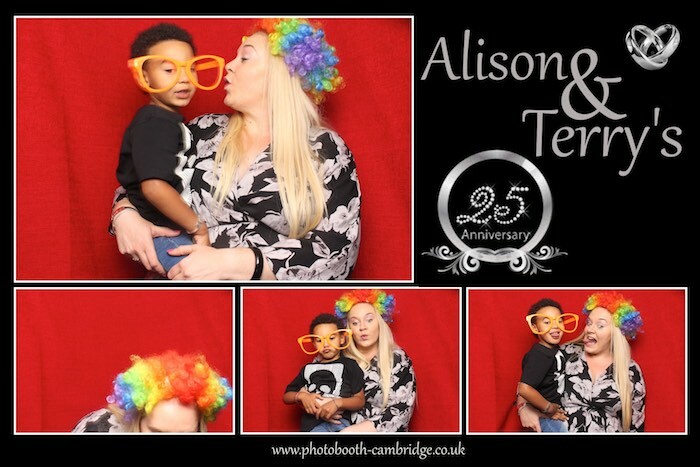 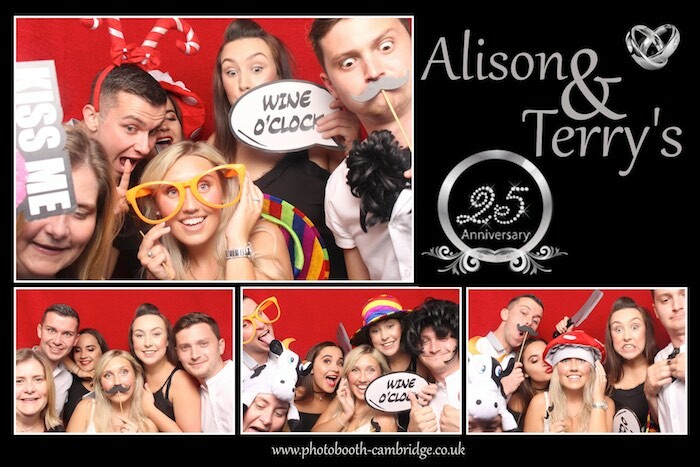 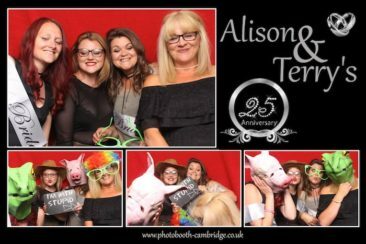 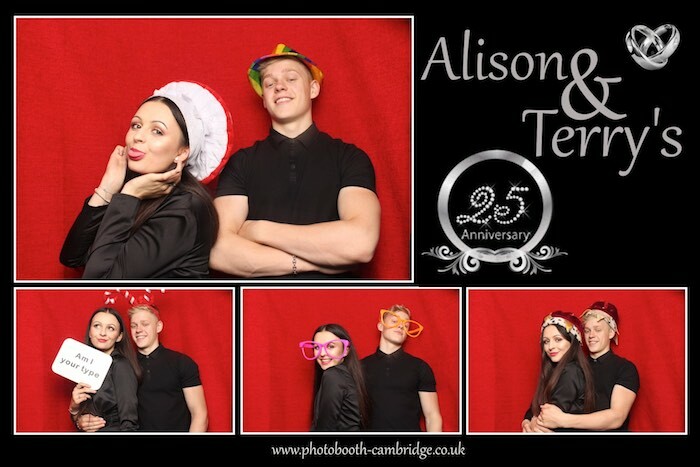 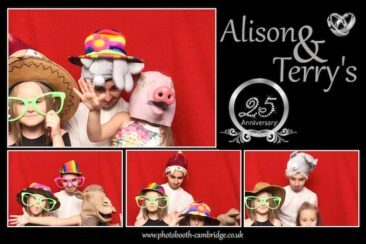 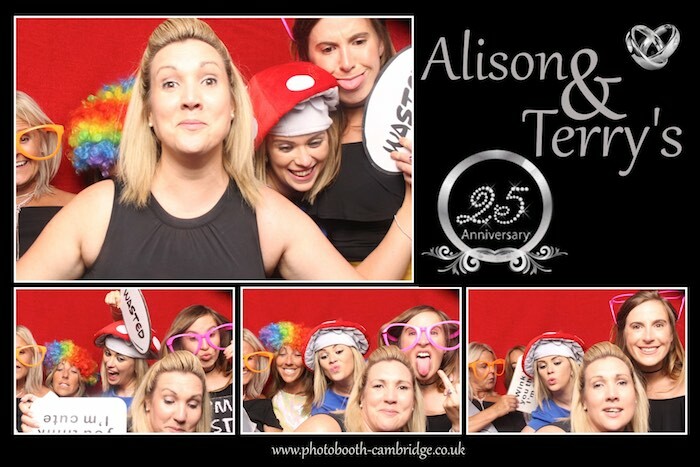 If you have a party, wedding or corporate event, that you would like a photo booth at, please get in touch to check our availability, and to see what we can offer.